Junior Director’s Seat — Watershed Productions Inc. 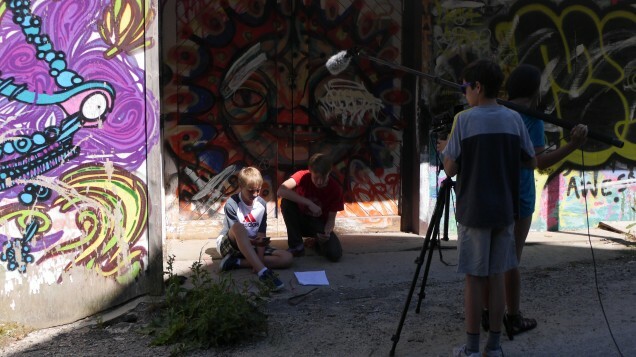 Participants of this age range work together to make their very own digital films in front and behind the cameras. From Monday’s pitch to Friday afternoon’s screening, it’s a busy week of planning, shooting and editing for each and every filmmaker. Both new and experienced filmmakers welcome. No equipment necessary. $335. See Registration and Subsidy information below for more details. All camera equipment and editing software is provided. Participants may chose to bring their own camera to use.